Hula Hooping Mom: Micah Tyler Scores First No. 1 Single With "Never Been A Moment"
Micah Tyler Scores First No. 1 Single With "Never Been A Moment"
I had never heard of Micah Tyler until a couple months ago. He was at our church opening for another artist. As soon as he sang the song "Never Been A Moment" I was hooked. Right after the concert, I went and bought both of his CD's. My daughter and I listen to them in the car while running errands and I can't tell you what this does for my day! 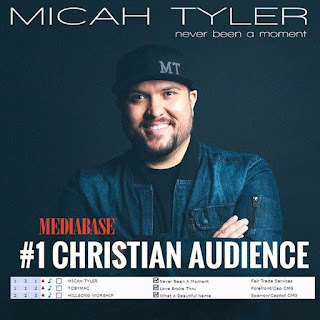 Micah Tyler's "Never Been A Moment" has become the most listened to song on Christian radio this past week, not surprising! He also hit No. 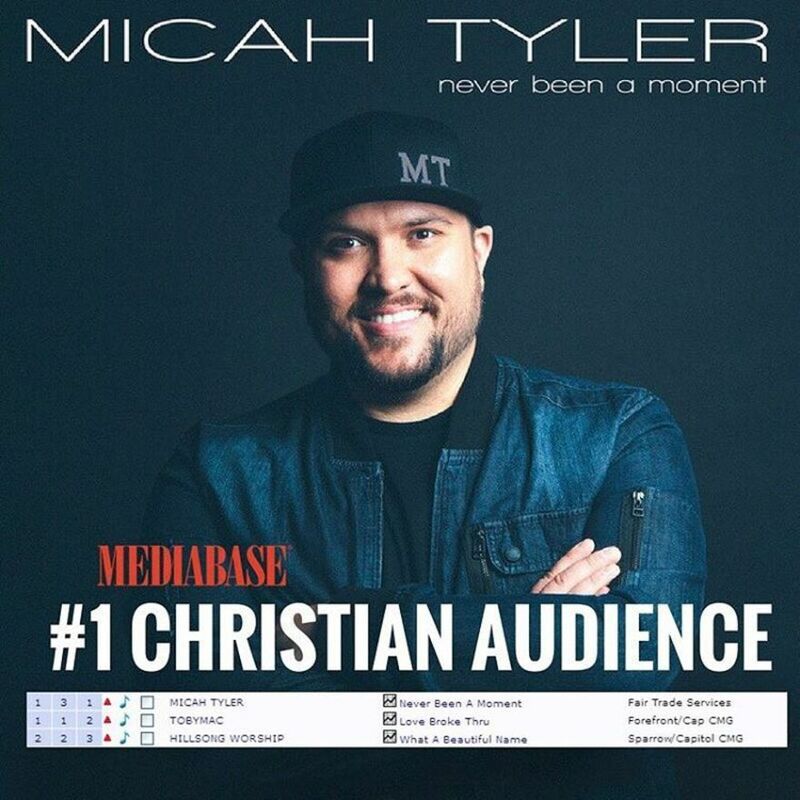 1 on the Mediabase Christian Audience chart earlier this week. Make sure to check out his song "Different" another one of my absolute favorites! As a thank you to fans who have supported the success of the debut, "Never Been A Moment" is now only $0.69 for a limited time. The single is available for purchase at the discounted rate on iTunes and Amazon Music. Throughout the months of April and May, Tyler will join headliner MercyMe and Hawk Nelson on the "Life Tour," traveling to 12 markets across the U.S. This fall, Tyler will also join Big Daddy Weave as a guest artist on their "Set Free Tour," running from August to November. Those are some of my favorite Christian artists and can't wait to see them together! If you've never been to a Christian concert, I highly recommend it! Recent Fair Trade Services signee Micah Tyler is a singer/songwriter and worship leader from Buna, TX. Playing 150+ dates annually, Tyler performs at churches, camps, concert venues and more and was named "National Male Vocalist of the Year" by the Gospel Music Association at the Immerse Conference in 2012. In October of 2013, Tyler released his first full length solo record, The Story I Tell, which debuted at No. 3 on the iTunes Christian/Gospel charts. Tyler has shared the stage with national touring acts such as Building 429, Mikeschair, Shane & Shane, Phillips, Craig, & Dean, Sanctus Real and Phil Wickham. Having served in staff ministry for almost a decade, Tyler has a true love and respect for the local church but has a passion to reach the unchurched as well with his Gospel-centered "Southern Soul" music style. His song "Directions" recently appeared on God's Not Dead 2 soundtrack.